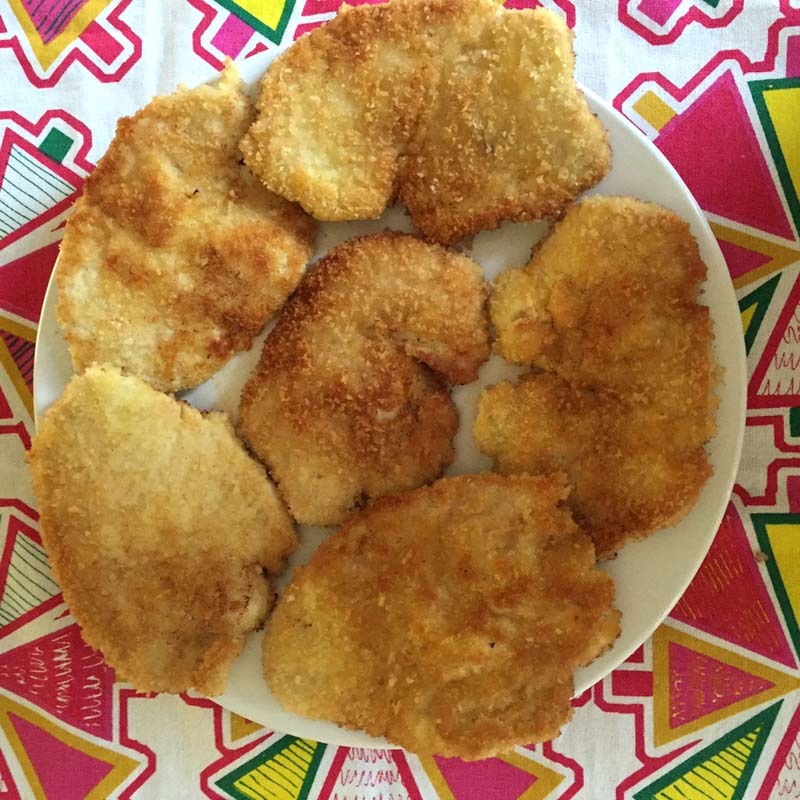 These pan-fried breaded turkey cutlets are thin, soft, tender and golden-brown! Panko crumbs breading is so yummy and crispy! Very easy to make in under 20 minutes – these turkey cutlets are absolutely perfect for a weeknight dinner! 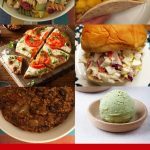 Are you making chicken, chicken and chicken day in and day out? 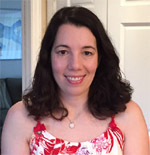 You’ve got to try the turkey cutlets instead! When they are breaded and fried, they taste quite similar to chicken, but are different enough to offer a change! If whenever you think of turkey you are envisioning a tough dry bird, you are going to love the fact that these turkey cutlets are pure opposite. 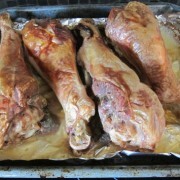 They are thin, they are tender, they are soft, they are juicy – you are going to love them! And their crispy breaded golden-brown crust is simply irresistible! 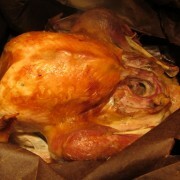 And by the way – even your Thanksgiving turkey will never be dry if you use the right recipe 🙂 Check out my best Thanksgiving turkey recipe – this will be the last turkey recipe you’ll ever need! If you never bought turkey cutlets before, you’ll find them in big supermarkets next to ground turkey. 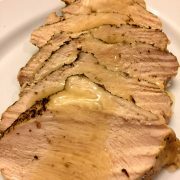 Jenni-O sells these amazing thinly-sliced turkey cutlets – they are just thinly sliced turkey breast white meat. Turkey cutlets are so thin that they cook in minutes, and they are healthy, tender and delicious! To make breaded turkey cutlets, first dip them in egg, then in bread crumbs and then pan-fry them in oil until golden-brown on both sides and cooked through. That’s all there is to it – it’s a super-simple recipe that tastes so good! 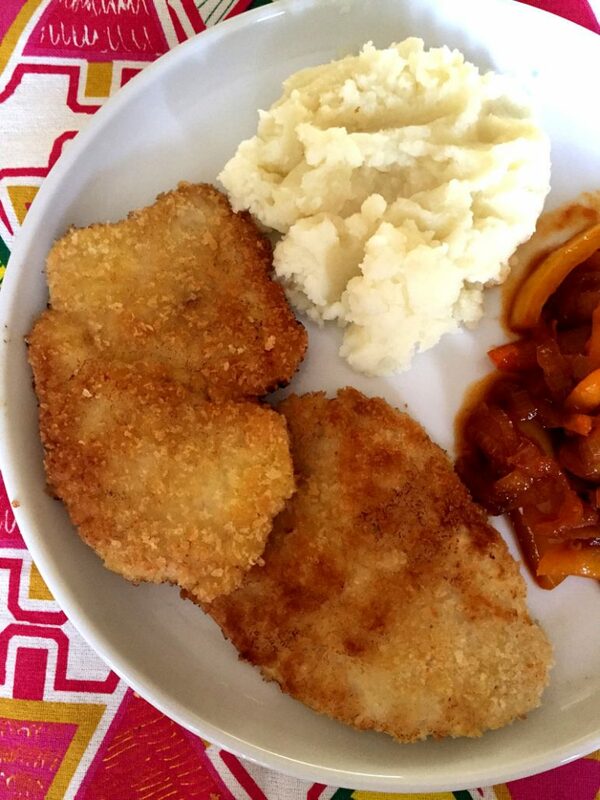 My favorite side dish to serve with these breaded turkey cutlets is mashed potatoes – they just go so well together! Check out my mashed potatoes secrets and perfect mashed potatoes recipe – these mashed potatoes are amazing! These delicious turkey cutlets are dipped in eggs and Panko crumbs, then pan-fried to form an amazing golden-brown crust! 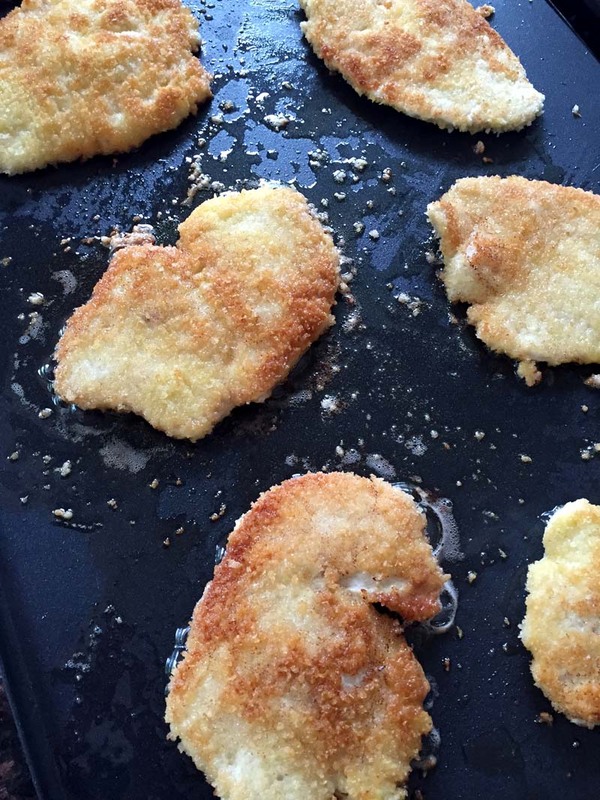 Very easy to make, these yummy turkey cutlets will become your weeknight dinner favorite! Put the Panko crumbs on a large plate. Dip the turkey cutlets in egg on both sides, then dip in Panko bread crumbs on both sides, pressing into the bread crumbs so they stick. Put the turkey cutlets on a frying pan in a single layer so they are not touching (you will need to do it in 2 batches). Cook the turkey cutlets on one side for 4 minutes, then carefully flip them over with a spatula and cook on another side for another 4 minutes, or until cooked through (no longer pink in center). 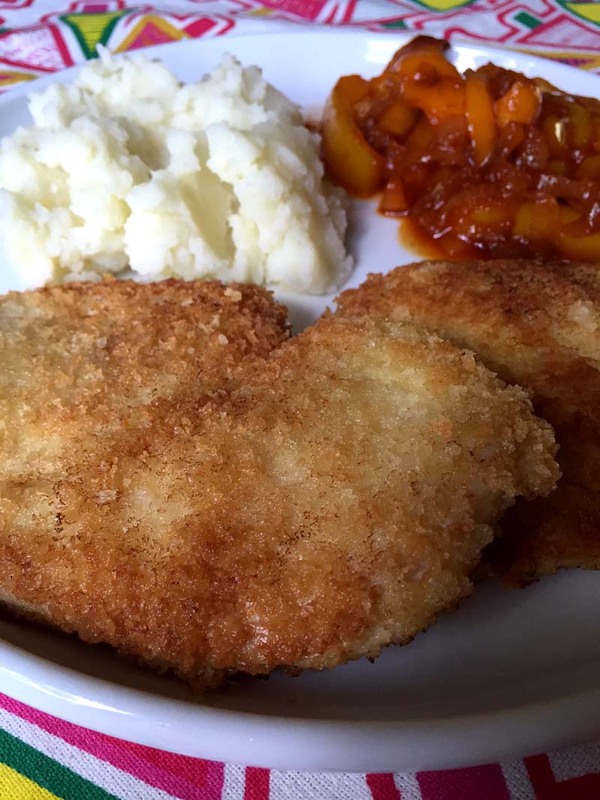 Sprinkle the breaded turkey cutlets with salt and pepper, remove from the frying pan and serve. Looks delicious, plus I like the looks of the veggie side- is that caramalized onions or some sort of fruit compote? Made this a couple weeks ago for my husband meals while he is at work. He loved them! Making them again this week! 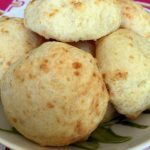 Brazilian Cheese Bread Recipe (Pao de Queijo) – Gluten-Free!